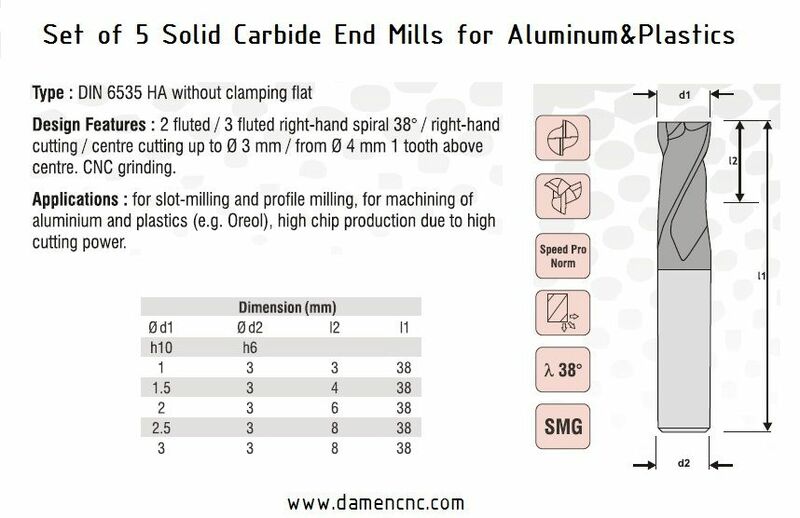 VHM Mini Mills for Aluminum&Plastics 2.5mm | DamenCNC B.V. 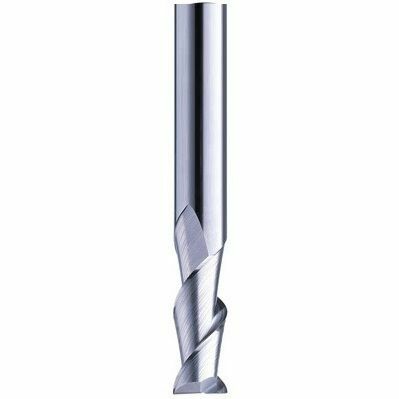 Solid Carbide Mills for Aluminum&Plastics, shaft size 3mm on all tools, so only one collet needed. Tool Geometry especially for Aluminum (2 flutes) and Plastics. Tip diameters starting at 1.00mm and increasing to 3.00mm with 0.5mm steps.